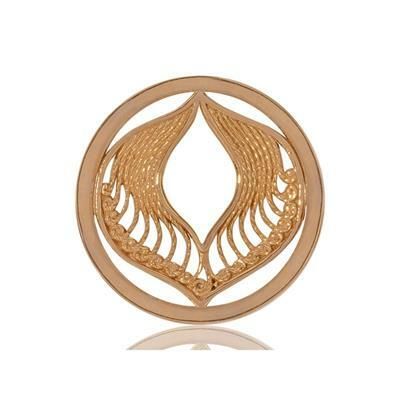 This yellow gold nano-plated 'Protection' coin has a delicate design inspired by angel wings. Wear day to night to protect you always. This is a medium 33mm coin designed to fit in a medium 35mm carrier.